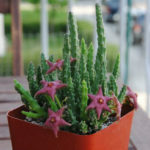 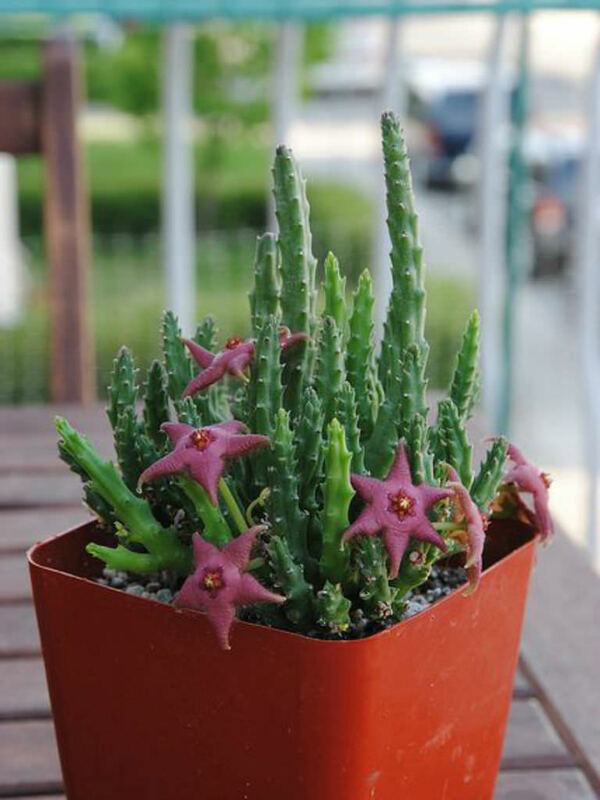 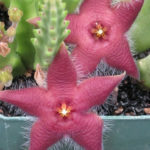 Stapelia scitula is a small succulent plant with slender, four angled, light green stems, up to 3 inches (7.5 cm) tall and up to 0.2 inch (5 mm) thick. 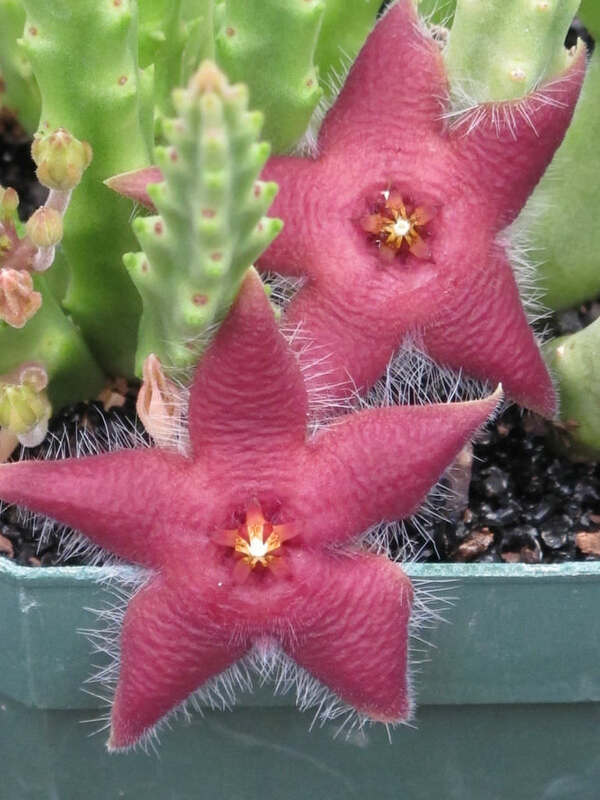 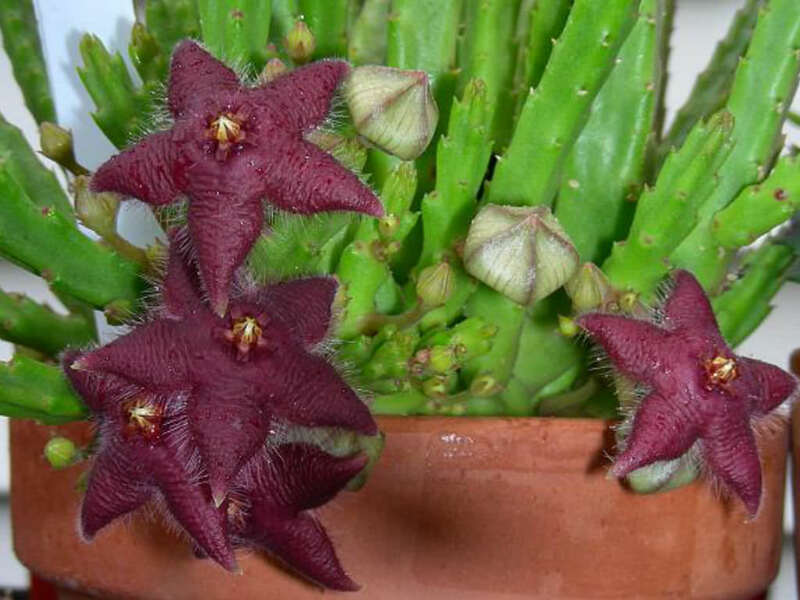 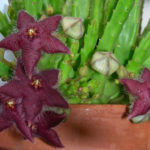 Throughout the year, it is adorned with proportionately diminutive star-shaped blooms, each up to 1 inch (2.5 cm) across, magenta or dark chestnut-brown with or without yellowish bands and densely covered with purple or maroon hairs. The fruit are paired spindle-shaped capsules (follicles) with the tightly packed seeds inside. 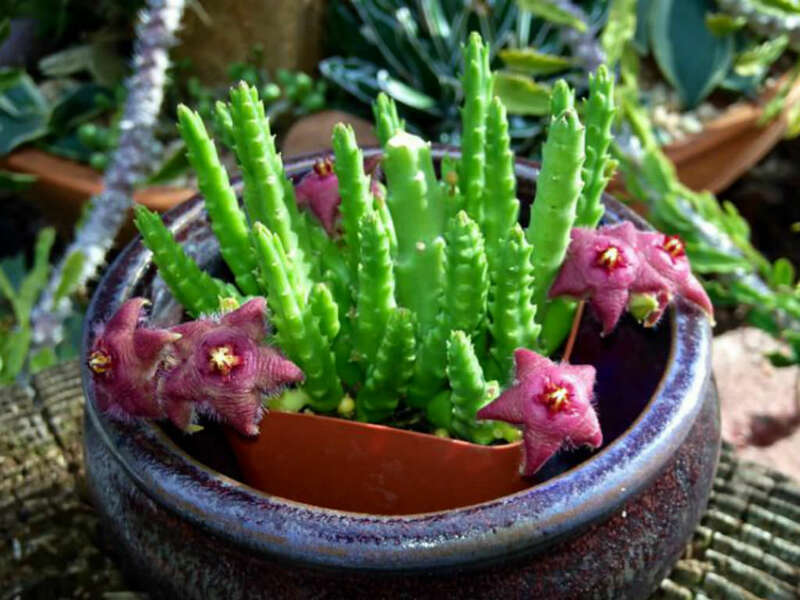 Stapelia scitula is native to South Africa (Western Cape).